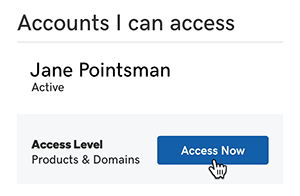 Once you've accepted delegate access to another person's GoDaddy account, you can open and manage products in the account. 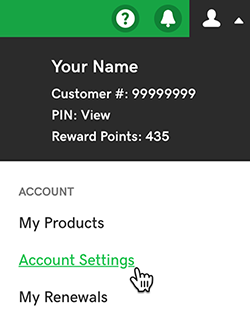 In the Accounts I can access section, next to the account you want to use, click Access Now. We'll take you to the My Products page for that account. When you're done working with the account, you can close the browser window, or click Exit access at the top of the page. Find out which products support delegate access. Here's how to request access to someone else's GoDaddy account.